When Should I Start Neuromuscular Retraining After Bell's Palsy? For individuals who are dealing with facial paralysis associated with Bell’s palsy, neuromuscular retraining (NMR) may be a viable treatment option. However, it is important to note that each facial paralysis patient must be evaluated before starting NMR. This way, a patient can receive a personalized treatment program designed for maximum benefit. 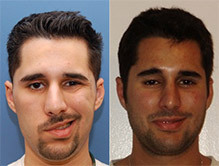 In some instances, Bell’s palsy patients will recover completely on their own. For example, 85% of Bell’s palsy patients’ facial paralysis symptoms will disappear within three months of diagnosis without additional therapy or treatment. However, in the remaining 15% of Bell’s palsy patients, the nerve can heal improperly and make wrong connections and at this point NMR can be started. 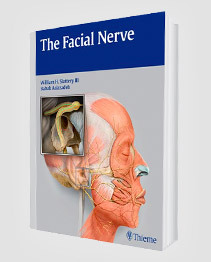 If the facial nerve heals improperly, this is called facial synkinesis, and is the simultaneous and abnormal movement of the facial muscles, may occur. This results in unwanted and linked facial movements. Coordination problems: The coordination of facial movements can be difficult for those who are recovering from a facial nerve problem. Linked facial movements: If a recovering facial nerve is poorly insulated, simultaneous muscle movements may occur. Also, linked facial movements have been shown to happen after the facial nerve has fully recovered. Increased facial muscle tone: The muscle tone may increase in the affected side of an individual’s face. When this happens, a person will need to work two to three times harder than before to move the facial muscles on the affected side of the face in comparison to the unaffected side. Facial muscle tightness: If the facial muscles are overworked, they may become short and tight, thereby making it difficult for a person to form facial expressions. The goal of neuromuscular retraining after Bell’s palsy is not to strengthen the muscles, but to create more coordination. If the wrong muscle is flexing out of sequence, it causes a distortion of the facial movement. Simply put, the face is making the wrong movements. We need to teach patients what muscles are actually needed to move areas of the face. Teaching this through NMR enables the patient’s brain to start reconnecting to the right places and isolating the proper muscles. The patient will learn to only use the correct muscle(s) and relax the muscles that are not supposed to be moving in that expression. 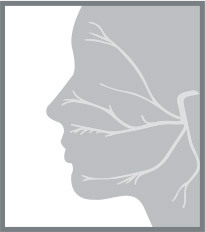 This creates a much more unified and symmetrical facial movement. 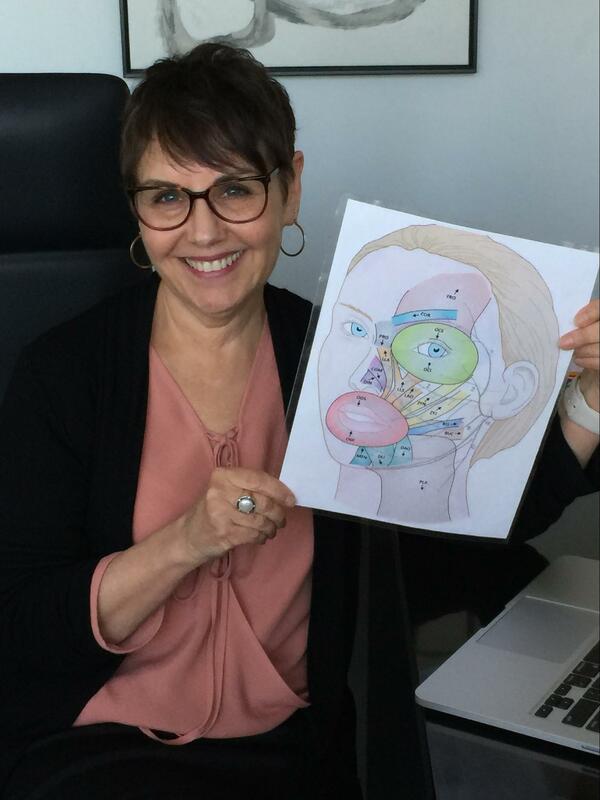 Every facial paralysis patient is different, and the recovery pattern varies from person to person. Individuals who experience sudden facial paralysis should go to an emergency room immediately. If facial paralysis symptoms linger for 10 to 12 weeks, a full evaluation should be scheduled with Dr. Babak Azizzadeh of The Facial Paralysis Institute. Dr. Azizzadeh is board-certified by the American Board of Facial Plastic & Reconstructive Surgery and the American Board of Otolaryngology-Head & Neck Surgery and will meet with patients to explore a broad range of treatment options. He is deeply committed to the treatment of individuals with facial paralysis and Bell’s palsy and will work with each patient to find the best way to deliver the optimal treatment results. To learn more about NMR and other facial paralysis treatment options, please contact us at 310-870-9508. Call us at (310) 657-2203 to schedule an appointment. 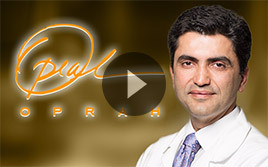 © 2019 Babak Azizzadeh, MD, FACS | All Rights Reserved.